Waffling? Surely only politicians are allowed to do that? 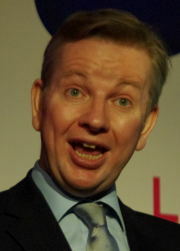 Michael Gove holds forth: read a riposte from Francis Gilbert here. As a school governor, you can imagined how cheered I am this morning to learn that this headline appears on the front page of the Times website [paywall]: ‘School governors condemned by Gove: School governors are ‘local worthies seeking a badge of status and the chance to waffle about faddy issues”‘. I fear I’m not willing to pay News International to read the full article, but am not surprised to see that Michael, as a former Times journalist (and married to Sarah Vine, currently on the staff), has ensured a front page story on his own paper once again, as well as copious coverage in the Telegraph and the BBC. I picked this up from Warwick Mansell, who also reports ‘Emma Knights, of National Governors’ Association, says: “We’ve had a lot of talk from Michael Gove about governance but not very much about how to improve things…”‘ Emma Knights told the BBC her organisation was ‘incredibly disappointed by the language of the secretary of state’. It seems Michael Gove has also had a pop at teachers (‘NUT “embracing Trotskyism” at national conference’), so he’s trotting out popular targets (trotting out Trots – see what I did there?) to endear him to his fellow-travellers in The Party. Well, as we know, if the Dear Leader doesn’t like governors, he can sack them and appoint his own – does that make the new ones waffling worthies too? Wait at the door? Whatever for? Ah: think about it! Of course, this is really just another faddy issue we shouldn’t waste our time waffling about. Stop press: There’s more on Michael Gove’s speech in the Telegraph today, where his claims that boards of governors resemble ‘Victorian parochial church councils’ is accompanied by an attack on the National Association for the Teaching of English as well (in the process getting the name slightly wrong – well, that’s journalists for you). This calls for a separate post, had I but world enough and time…. But Francis Gilbert has written a detailed response, complete with a refutation of his slur on NATE, here. Thanks to the excellent Substuff and Peter Melville in today’s Guardian for these comic – and tragi-comic – clangers from two of our finest quality broadsheets. The Grauniad retains its (now surely undeserved) reputation for typographical infelicities – but the Telegraph, that home of grammatical rectitude and Simon Heffer? What will become of us? And with the Telegraph’s recent crime against chidren still fresh in our minds! In early editions, the photo caption that accompanied a report of the jailing for life of two members of an east London street gang convicted of the murder of a girl of 16, Agnes Sina-Inakoju, contained the solecism that she “died 36 hours after being killed”. As the text made clear, she died in hospital 36 hours after being shot. Different from or different to? Which is correct – people having different views from you or people having different views to you? different from is traditionally the correct form, although different to is widely accepted nowadays (but note that you would always say differs from, not differs to); different than is wrong, at least in British English. No room for choice there – but what about that magisterial tome, the complete Oxford English Dictionary? 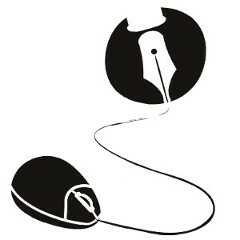 The usual construction is now with from; that with to (after ‘unlike’, ‘dissimilar to’) is found in writers of all ages, and is frequent colloquially, but is by many considered incorrect. The construction with than (after ‘other than’), is found in Fuller, Addison, Steele, De Foe, Richardson, Goldsmith, Miss Burney, Coleridge, Southey, De Quincey, Carlyle, Thackeray, Newman, Trench, and Dasent, among others…. I can’t help feeling that just three writers might have made the point – is the list of fifteen a sign of insecurity? Surely not, merely of comprehensive authority! After all this, what was my friend’s response to the advice I provided? Are you trying to confuse me even more? Audio typing… is hard enough… without the grammatical complications that are hindering my progress! Well, Hilary, sometimes the route to clarity lies through a thicket of confusion which we have to hack away to the very roots in order for clarity to prevail. Of course, sometimes we get lost, drop the scythe and can’t find it in the undergrowth. Now where was I…? Who should wear the dunce’s hat? It’s easy to detect the Telegraph‘s disgust when reporting that a Head teacher has been forced to apologise for an error-laden report – it is, after all, the paper of Simon Heffer. The journalist duly comments that the fourteen errors ‘indicate a need for the teacher to be sent back to primary school’. There’s also the cretinous use of a comma instead of a full stop, right after the “8’s”. So says ‘Col Dee’ (hardly diplomatic language – oops, we’ve just learnt from Wikileaks how diplomats really talk). ‘Dunces’ hats’ has an apostrophe. Several hats belong to several dunces or possibly Telegraph reporters…. “7’s and 8’s” should not have apostrophes. There is no ownership, just a description of a group. The Telegraph should have spotted this…. Unfortunately the readers of the DT seem to have lost their grasp of reality and appear to prefer navel gazing and discussing minutii…. Actually, minutii (sic) should be minutiae as it comes from a Latin rather than a Greek root. Should that error detract from the meaning of what the writer was trying to say? IMHO, no. The use of the abbreviation IMHO in the response here is hardly the norm for, say, a report to parents, though part of the lingua franca of online conversation. It’s all a matter of register (as teacher might say) isn’t it?